Is there anything lasers can't do? We only ask because they seem to be improving everything from microphones to railroads, and now researchers from Purdue University have leveraged the power of light to better manufacture solar cells. 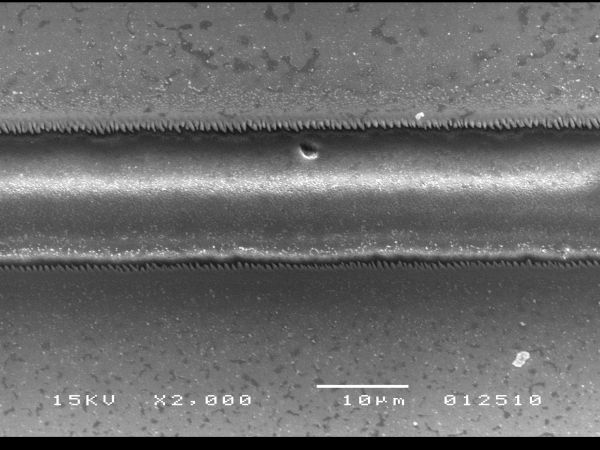 Using an ultrashort (as in quadrillionths of a second) pulse laser to more precisely scribe the microchannels connecting thin-film solar cells -- as compared to current mechanical stylus methods -- the Boilermakers were able to improve energy transfer efficiency between cells and significantly reduce manufacturing time. Having demonstrated the process works, research continues to better understand and prepare it for use by manufacturers -- sooner rather than later, we hope. Purdue researchers make solar cell manufacturing cheaper, more efficient with lasers originally appeared on Engadget on Fri, 11 Mar 2011 07:17:00 EDT. Please see our terms for use of feeds.